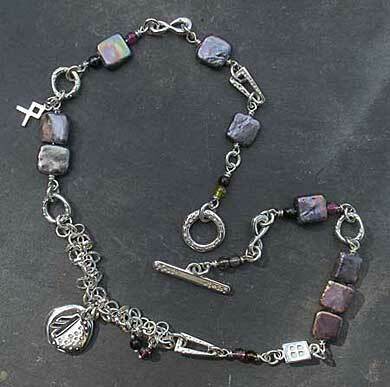 Women's Silver Rune Necklace : LOVE2HAVE in the UK! 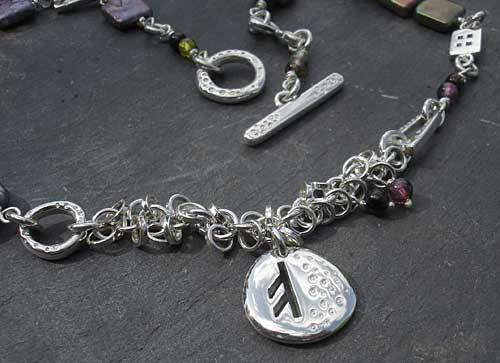 This women's silver Rune necklace is our gorgeous silver combination necklace for women that matches the ladies Runic Celtic bracelet. Again it is modern Celtic jewellery inspired by the traditional Runic language and from the ancient Celtic coastlines from the Northern Isles of Scotland. The beads featured are tourmaline beads and peacock pearls. They both have lovely rich tones as pictured and when combined with the silver detailing look beautiful. The silver comes in a polished finish and including the T-bar fastener measures about 16 inches long so therefore designed to fit a ladies neck. 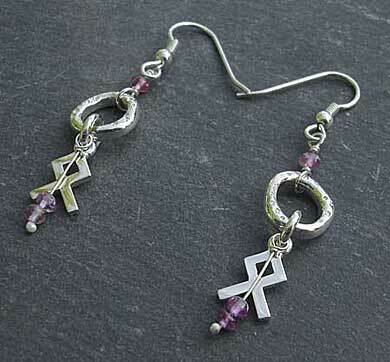 The little silver rune measures approximately 1.7 cm total drop. 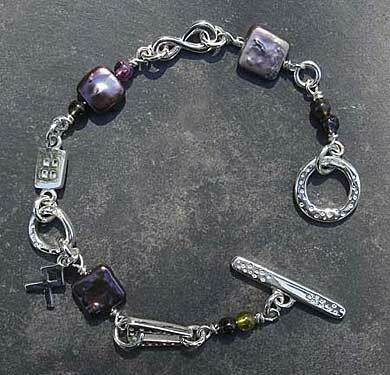 A genuinely beautiful example of UK made handcrafted jewellery.